These beautiful string lights will add a sparkle to any occasion. 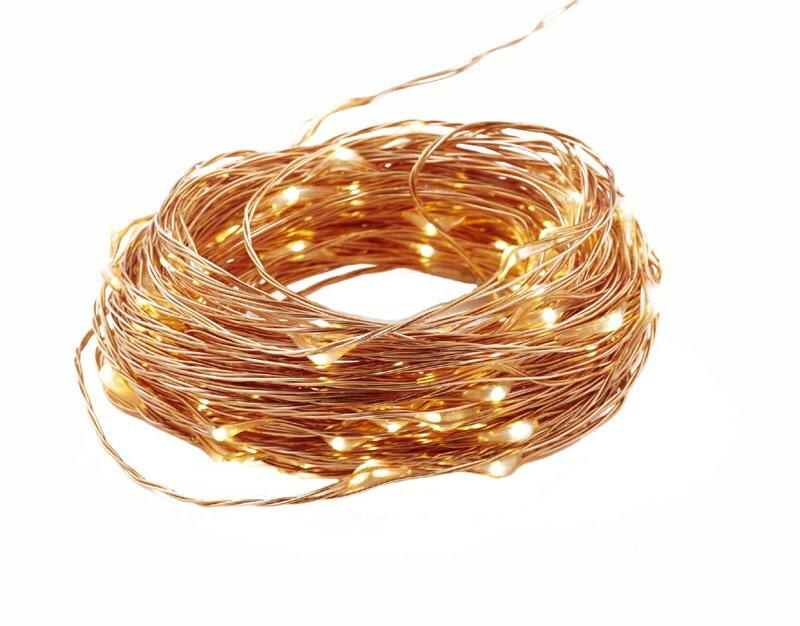 With 100 led lights on a flexible 10 meter copper, gold or silver wire or 40 led lights on a flexible 4 meter copper, gold or silver wire the possibilities are endless. Use them as a table centerpiece, around a door or window frame, wrap around a bed head or a fire place. Their uses are limited only by your imagination! Battery powered, running on 3 Double A batteries (not supplied). These fantastic lights are available instore at Nest & Burrow in Bundanoon & Moss Vale!